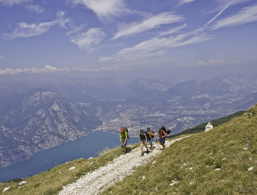 Holidays on Monte Baldo ↔ Discover Lake Garda! 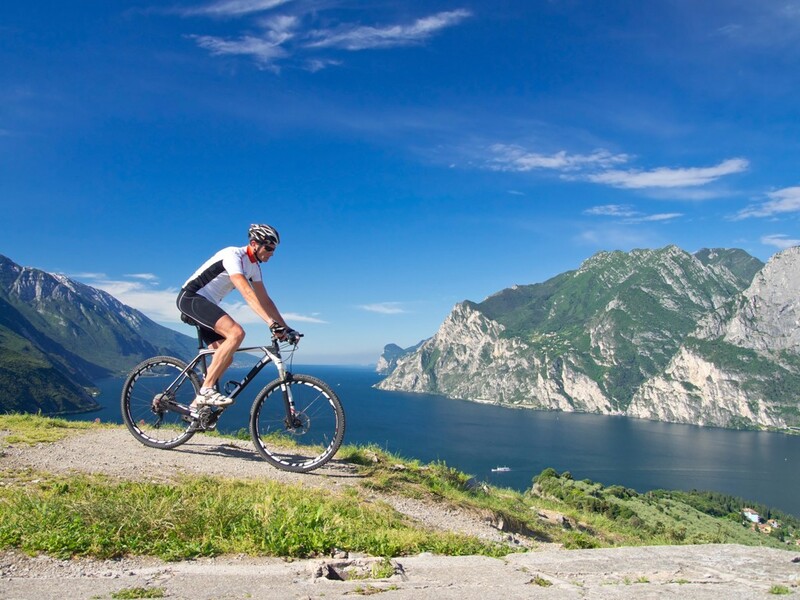 The highest mountain on Lake Garda offers breathtaking panoramic views as well as numerous hiking trails and mountain bike tours. Monte Baldo is, at over 2000 m, the king of the peaks at Lake Garda. 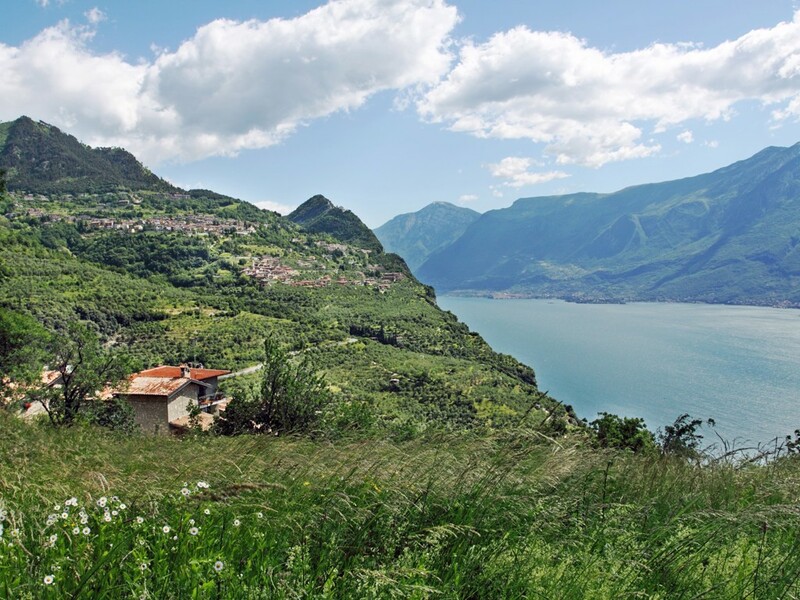 The imposing massif separates the eastern shore of Lake Garda from the Adige Valley over a length of 30 km. 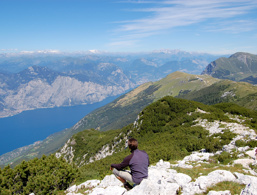 For nature lovers and botanists, a trip to Monte Baldo is entirely worthwhile. Since the mountain was not covered in snow during the Ice Age, numerous animal and plant species have survived to this day, which is unique in Europe. While the lower reaches of the mighty mountain are densely forested and covered with olive groves, the upper summit region appears bare and smooth. Monte Baldo is famous in Summer for hiking and mountain biking. Directly from Malcesine, you can reach the summit at 1.760 m altitude by gondola. 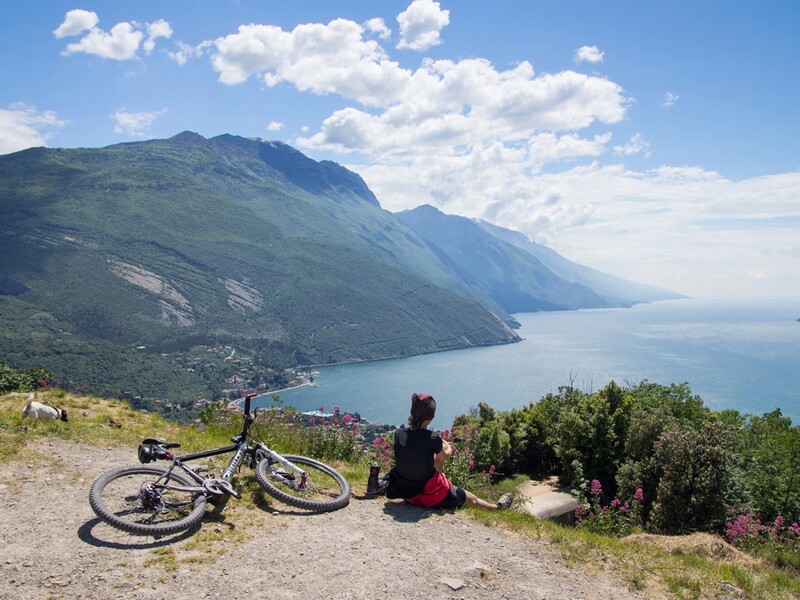 Once at the top, you can enjoy a spectacular view of Lake Garda, take wonderful walks in the lofty heights or take the return path by mountain bike or paraglider. Even in winter, the mountain that connects the Alps and the Mediterranean basin is always an exciting destination. When the first snowflakes fall, the mountain calls winter sports fans of all kinds. Pure skiing fun on perfectly prepared pistes with breathtaking views of Lake Garda attracts skiers, snowboarders, cross-country skiers and snowshoe hikers from near and far. For those who want to learn more about the flora of this area and see its full splendour, a trip to the botanical garden on Monte Baldo is a must. On an area of approximately 12,000 square meters, about 700 native plant species are cultivated. The slopes of the ridge are considered a real paradise for plants because flowers that were found on earth millions of years ago are growing here. Already more than 600 plant species have been discovered, with more and more rarities found all the time. This is the reason why Monte Baldo is often called the "Botanical Garden of Europe". The garden in the village of Novezzina is open daily from the beginning of May to the end of September from 9 am to 6 pm. For those who like to spend some time hiking with their family, we recommend the ascent to Monte Altissimo di Nago. With the cable car from Malcesine, you can quickly master a good part of the hike. 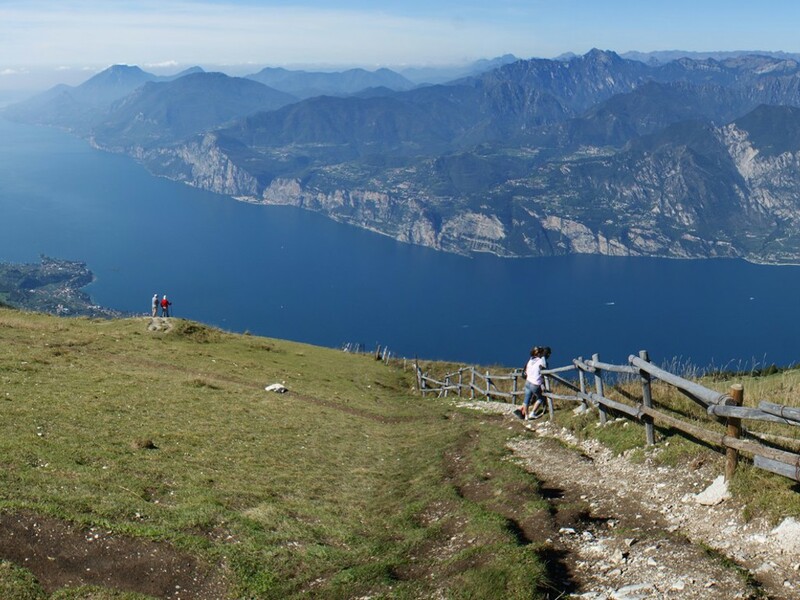 After a one-hour walk on the family-friendly hiking trail, you can enjoy the magnificent view of Lake Garda and the surrounding mountains at an altitude of 2,079 m.